Grey and red is a superb color combination that’s perfect for creating a refined bedroom with an opulent and dynamic ambiance. 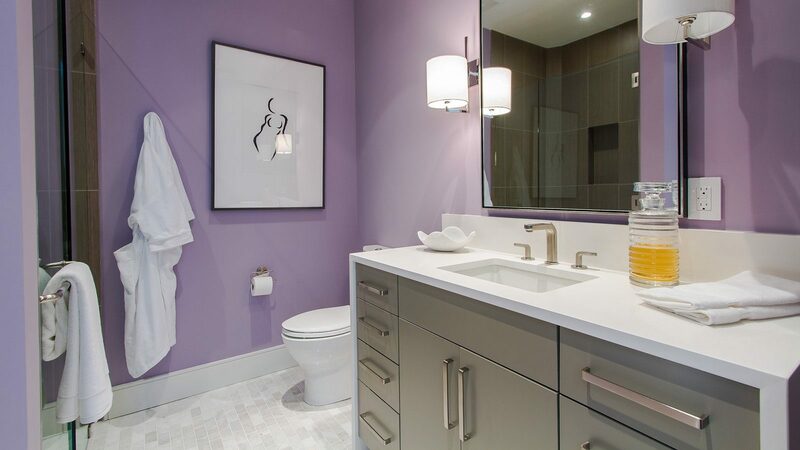 Grey is a classy and bold shade with the power to emphasize elegance and other accent colors. A red accent brings an extremely sensual, dynamic and vibrant charm. When paired together these two colors work great to create a contemporary bedroom with a clean, refreshing and radiant atmosphere. 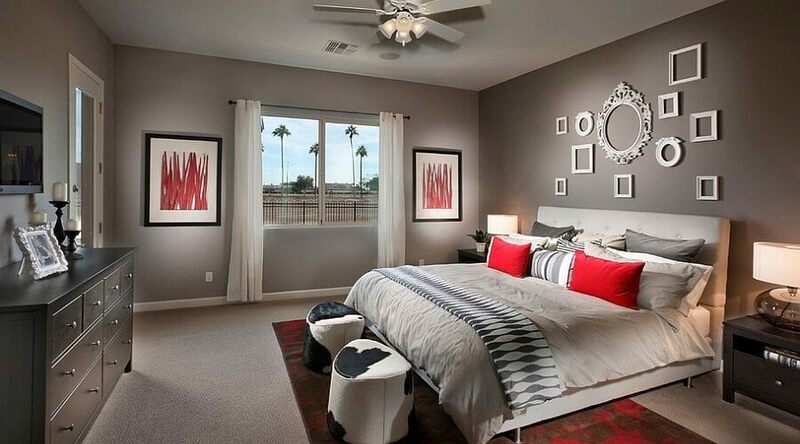 If you’re wondering what sort of color scheme to use in your bedroom you can’t go wrong with grey and red. 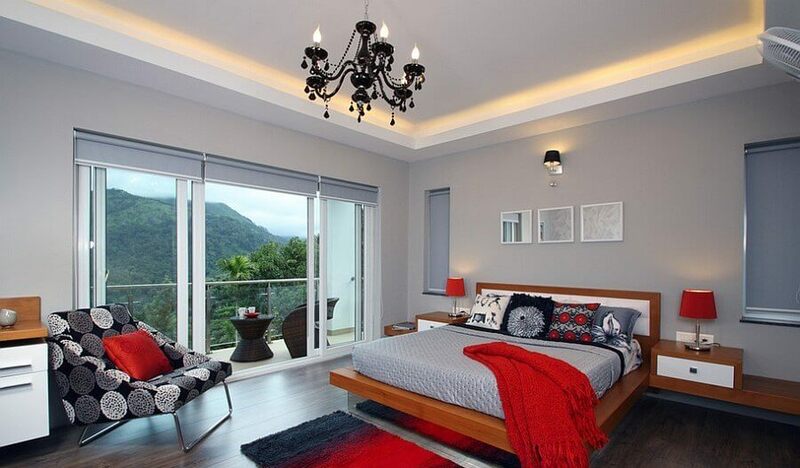 Take a look at this round up of exquisite red and grey bedroom design ideas and get inspired! The pops of red accents on a dove grey wall creates a truly sophisticated ambiance as well as an interesting visual effect. The bedroom has two beds but they’re styled similarly so it’s okay. The red patterned curtain, matching pillows and wall art brings a cool color symmetry and makes a nice eclectic statement. 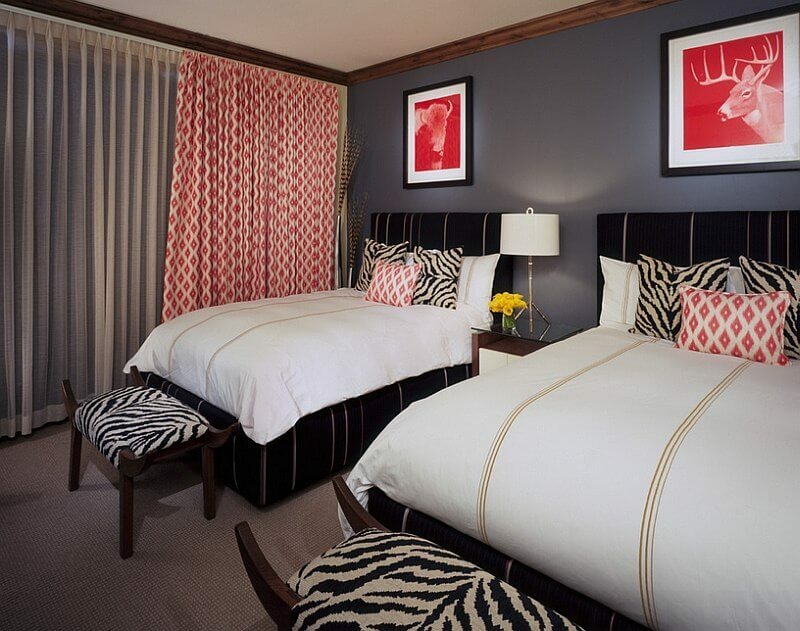 This is a fantastic example of how to create a classy and chic bedroom with minimal effort. The pops of red in a light grey bedroom brings a sensual and vibrant ambiance to this utterly refined and sleek room. 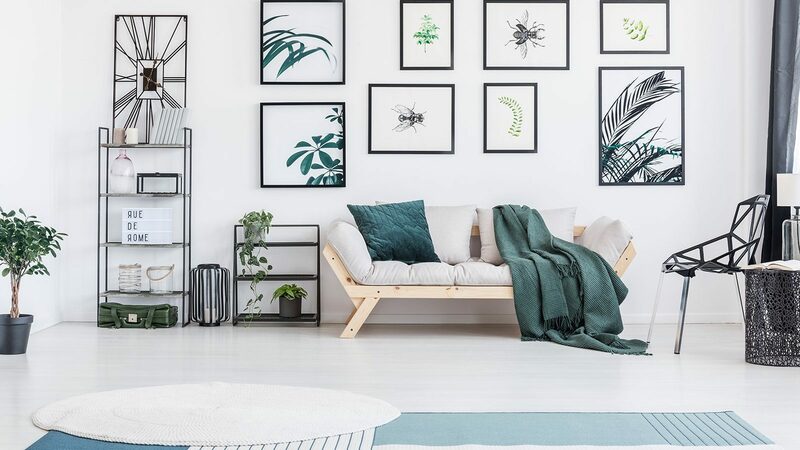 One rug, two pillows and two pieces of artwork on the walls is all the red you need and it makes quite a statement. This bedroom is so contemporary and refreshing! 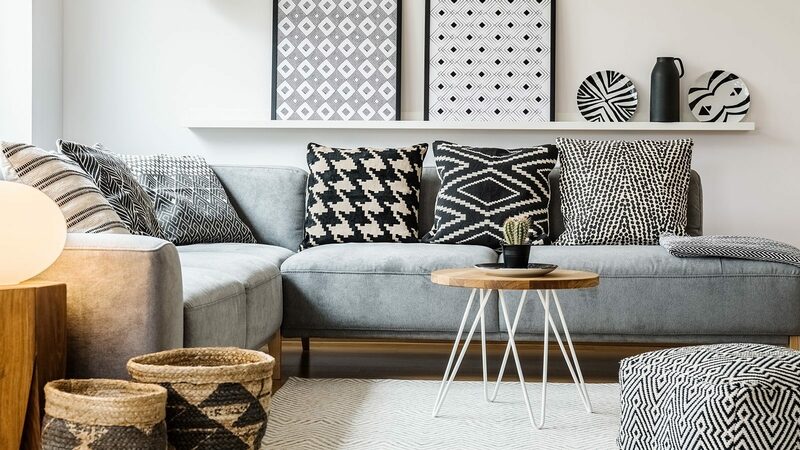 It has a youthful appearance with a cool, fresh and sleek look due to the smart combination of light grey on the wall and the pops of red from the patterned chair, art and other decorations. 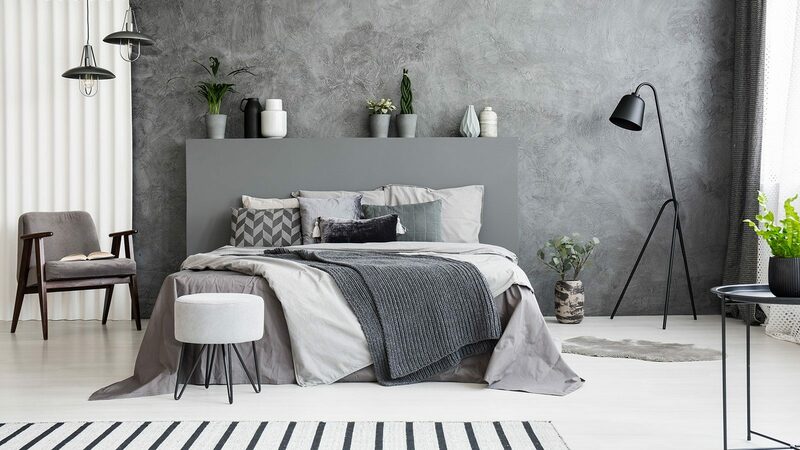 The shag grey pillow adds a bit more to the grey side of the palette and that texture makes the bedroom look so much more comfortable. 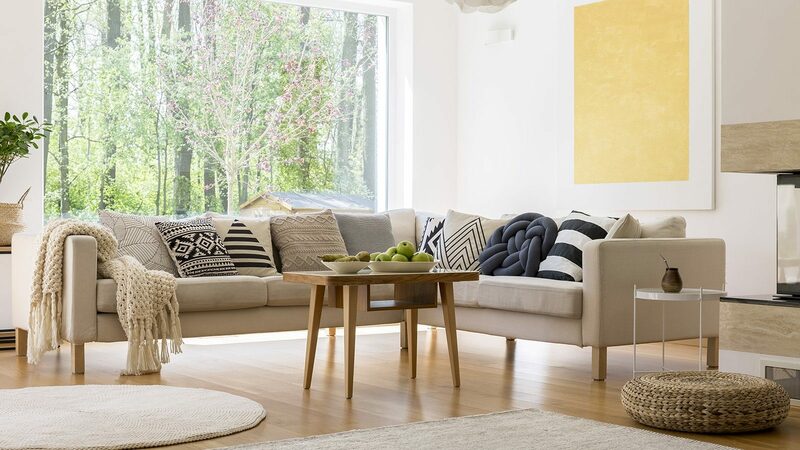 This room features a perfect color arrangement. The dominance of the grey creates a sophisticated and classy appearance while the splashes of vibrant red give a dynamic and sumptuous ambiance. We love the refreshing and bright appearance of this cool and contemporary bedroom. 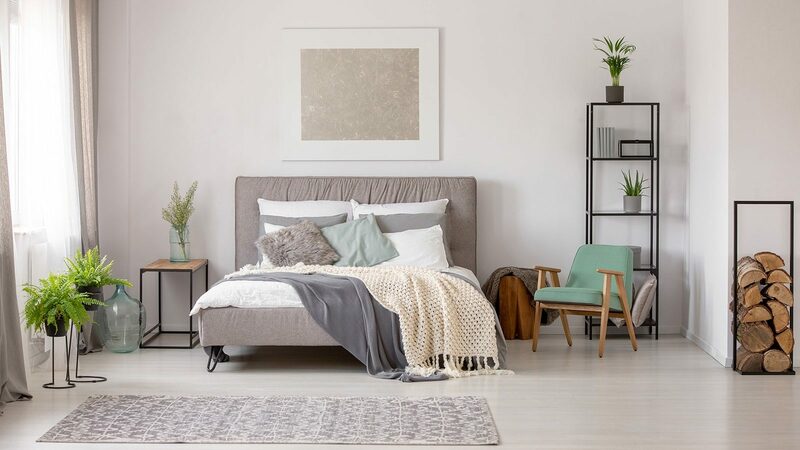 The dark grey bed brings substance and a bold sensual tone to the overall bright room while the various red accents boost up the attractiveness of this modern and opulent atmosphere. Very chic! Red is used here in ingenious ways to great a vibrant visual effect filling the bedroom with a dynamic and sensual ambiance. We totally love it. This utterly cute and feminine bedroom has a rich palette of texture and pattern. 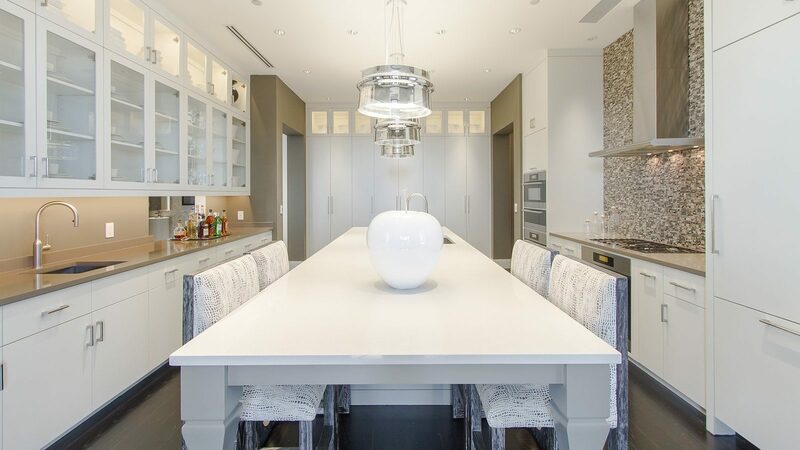 This is what creates the vibrant ambiance clearly recognizable here. There’s just a tiny splash of red accents from the pillow and flowers but they cut through the dove grey color scheme and prevent the room from looking to gloomy and dark. 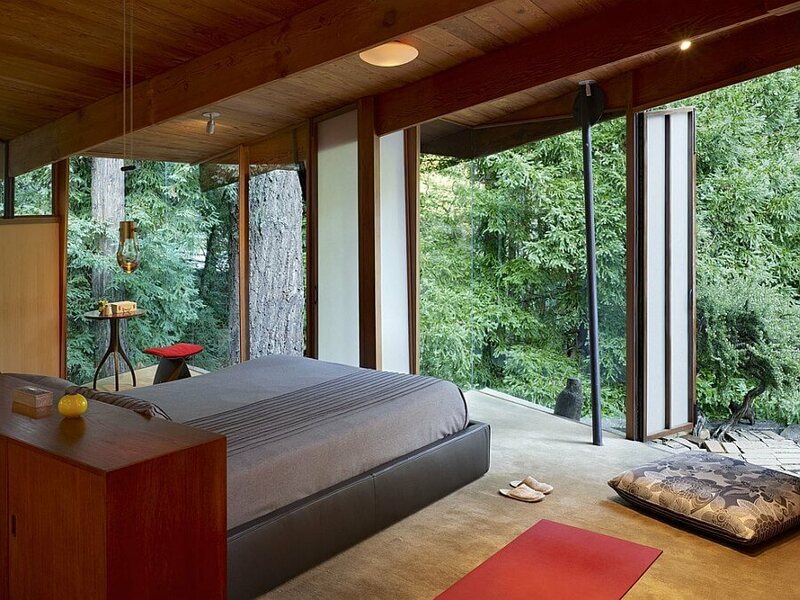 The awe-inspiring surroundings of this bedroom create a perfect visual affect in the room itself thanks to the large glass walls. The grey bed and pops of red work well together to create a contemporary and modern setting. 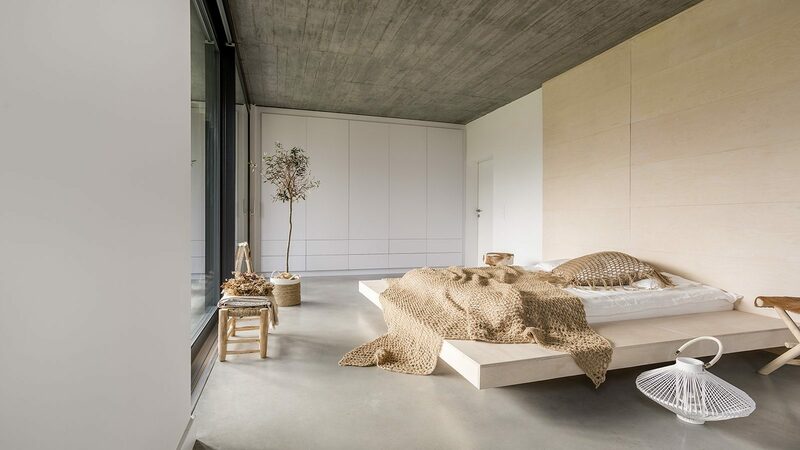 The minimalist style of this bedroom is wisely enhanced by its grey and red color scheme. 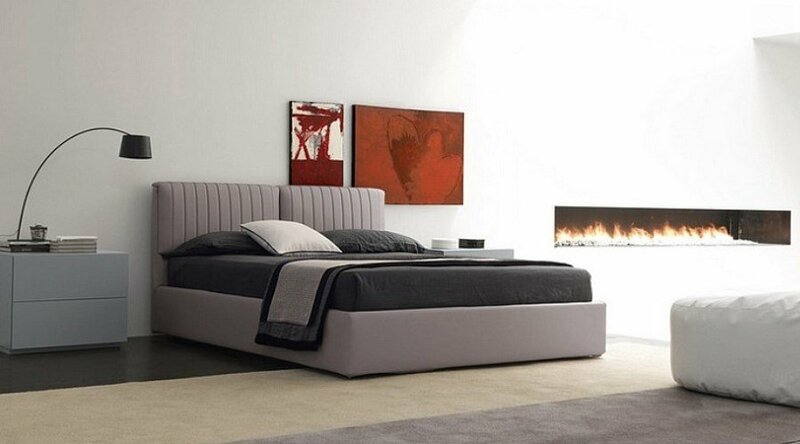 The contemporary grey bed is a classy and refined element while the red artwork brings an opulent and vibrant perk. 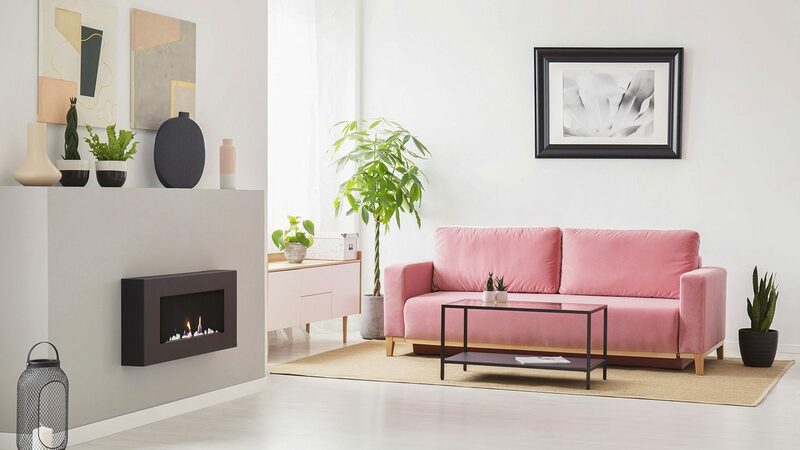 The fireplace is absolutely gorgeous too. This is a very modern and completely chic bedroom. 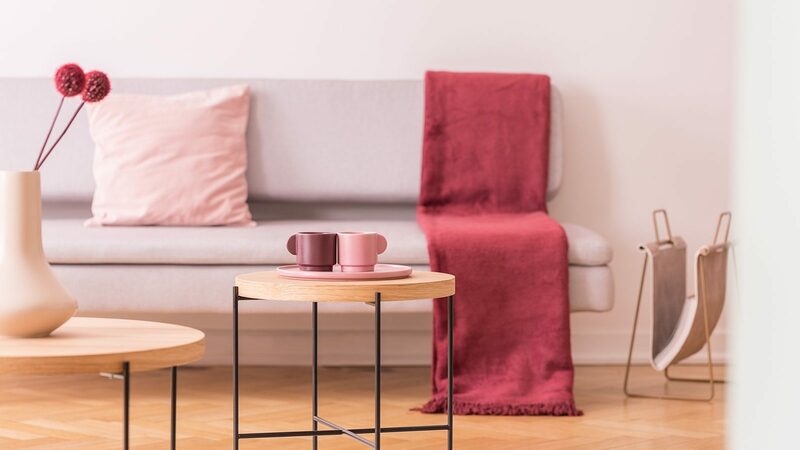 The grey foundation creates a classy and refined ambiance while those incredibly soft velvet red pillows bring some much needed texture, color and luxury to the room. A very sophisticated look without too much work.